With their brotherly bond fractured at the worst possible time, the Grass Kings must find a way to mend fences before the Feds stomp out their illegal trailer park fiefdom once and for all. The final chapter for the Grass Kings is here, as the illegal trailer park kingdom wards off attacks from the outside and within. Robert has become a manic, paranoid despot, Bruce has been exiled following the reveal of his secret partnership with the neighboring town of Cargill, and Ashur has been helpless to pick up the pieces--yet the three brothers must find a way to put their differences aside and defend the sacred land that’s been passed down through generations. 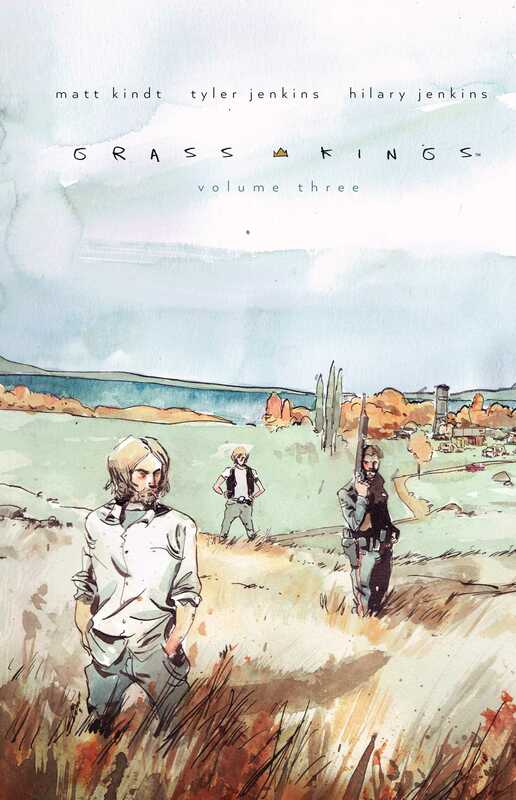 From the lauded creative team of The New York Times bestselling author Matt Kindt (Mind MGMT) and illustrator Tyler Jenkins (Peter Panzerfaust), Grass Kings Vol. 3 concludes the critically-acclaimed rural mystery series that examines the lengths man will go to protect their own.